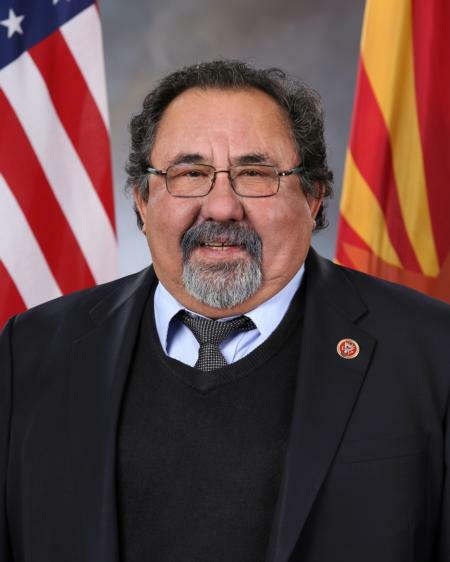 The incoming chairman of the House Natural Resources Committee, Rep. Raúl Grijalva (D-AZ) and his staff are mapping out the best approach for fighting the Trump administration’s attacks on national monuments. That is Trump land privatization efforts. Specifically, the Trump administration ordered the shrinkage of two national monuments in Utah. In total, Trump eliminated 2 million acres of protections — the largest rollback of federally protected lands in American history, reports Think Progress. Documents released earlier this year by the Department of Interior revealed that agency officials favored fossil fuel interests, along with ranching and logging. Part of Grijalva's strategy is to get Secretary of the Interior Ryan Zinke to resign. In a USA Today op-ed, he called for just that: Interior Secretary Ryan Zinke must resign. His multiple scandals show he's unfit to serve. Zinke has responded via the below tweet by calling Grijalva a drunk. If the Trump administration starts alienating drunks, he surely won't get re-elected. Privatization: Defined as selling off public lands and resources managed by the government for pennies on the dollar to friends and family and then demanding the public pay more taxes. So, I'm curious: Is the guy a drunk or not? I dont know if he's a drunk, but I do know he is a Democrat. Only one of those things effects me. Although, if he were a Republican, things likely would be no better. very true. just bad in different areas.